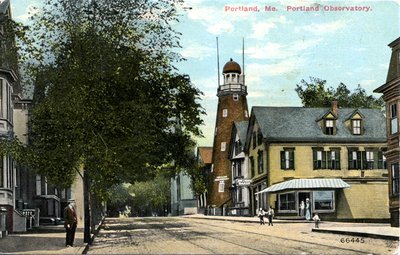 Portland Observatory (138 Congress Street) seen from west, along Congress Street, circa 1900s. "Portland Observatory" (2013). Portland Postcards. 21.